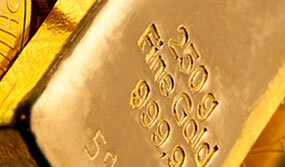 Gold futures edged up from a more than seven-week low Monday, logging their first gain in four sessions. Silver, meanwhile, extended its string of session losses to ten in a row, ending at a new, more than four-month low. Gold for June delivery climbed 20 cents to settle at $1,227.10 an ounce on the Comex division of the New York Mercantile Exchange. "The result of (the French) election was pretty well forecast … Last week we had some sizeable (long) liquidation in gold and physical demand remains pretty good right now … I’m not surprised to see gold supported around current levels," Reuters quoted ICBC Standard Bank analyst Tom Kendall. Gold futures ranged from a low of $1,221 to a high of $1,236.90. They dropped 3.3% last week, for their biggest weekly decline since November, closing at their weakest point since March 15. Elsewhere, silver futures for July delivery lost 1.6 cents, or 0.1%, to end at $16.258 an ounce. The settlement is the lowest since Dec. 30. Silver futures traded between $16.25 and $16.46. They sank 5.7% last week for their third straight weekly decline. July platinum gained $9.40, or 1%, to $919.60 an ounce, ranging from $911.30 to $925. Palladium for June delivery fell $7.50, or 0.9%, to $805.55 an ounce, trading between $802.25 and $817.95. The pair of metals registered losses last week that tallied to 4.1% for platinum and 1.7% for palladium. Gold added $1.75, or 0.1%, to $1,229.80 an ounce. Silver added 11 cents, or 0.7%, to $16.38 an ounce. Last week, London bullion prices logged losses of 3% for gold, 6.5% for silver, 3.9% for platinum and 1.8% for palladium. U.S. Mint bullion sales were unchanged as of 2:59 p.m. ET. Below is a sales breakdown of U.S. bullion products with columns listing the number of coins sold during varying periods. Products with an asterisk (*) are no longer available.